This does not include the larger items of PVC, metal piping, bicycles, tires. fencing. floats/tubes, shopping carts, barrels, etc. Atlas Environmental is owned and operated by Nick Menchaca. Nick lives in San Marcos, Texas and you can usually find him at the river with his two dogs. 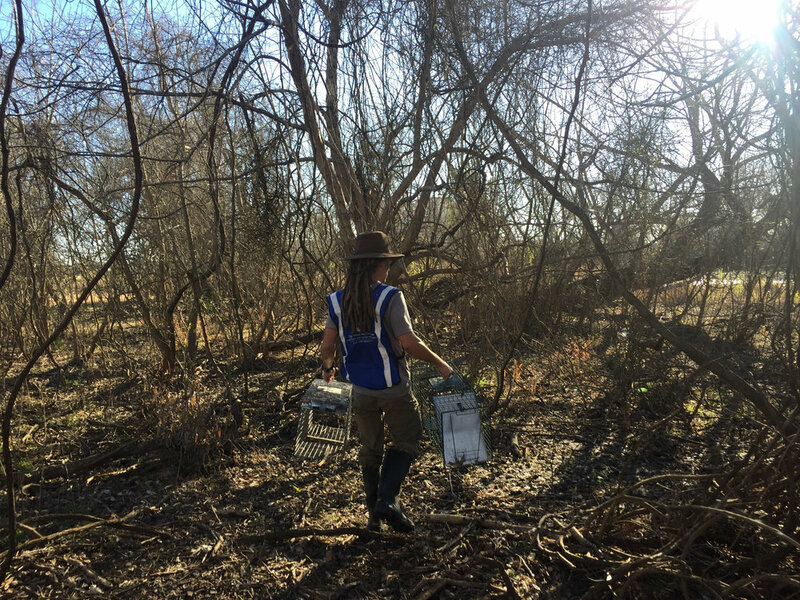 Nick has built a business that allows him to live his life’s passion – environmental work in and around the San Marcos River. Atlas Environmental has excelled each year by consistently increasing removal rates of invasive species and trash, while also hosting biannual spearfishing tournaments. The San Marcos River Polespear Tournaments have provided means for the community to learn, understand, and experience the process of conservation in action. Nick has represented Atlas Environmental at community events and to the local media to promote river awareness and education. Nick holds a Master of Recreation from Texas State University and has contributed to past and current research projects. Nick has taught paddling classes through the university and feels honored to help people discover their new abilities on the river. Nick is a natural leader and spearfisherman. Atlas Environmental has succeeded because Nick has followed his heart’s inspiration, remained focused, and utilized resources. What began as a love for river recreation, has now grown into a self-propelled, community supported, river restoration project. The San Marcos River is a magical place on Earth and Atlas Environmental will continue to reassess and update removal methods to optimize efficiency.